Wyoming has 23 counties, each with their own trial courts. The Superior Court handles felony criminal cases and civil cases exceeding $50,000 in damages. The Superior Court also serves as the appeals court for felony criminal cases. Any further appellate review is handled by the Supreme Court. 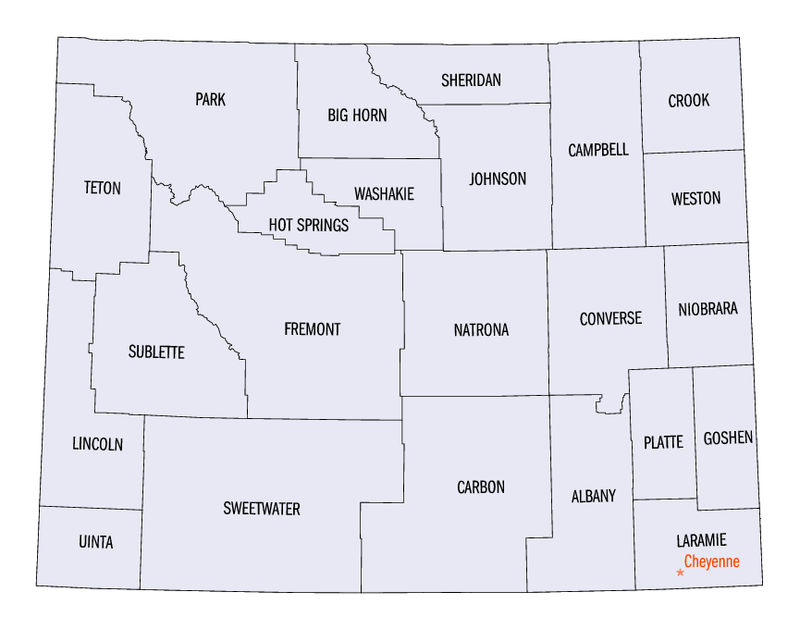 The three largest populated cities are Cheyenne, Casper, and Laramie. Any complaints regarding the competency or ethics of your attorney should be made with the Board of Professional Responsibility. To report an attorney, you must file a complaint form with Office of Bar Counsel, Wyoming State Bar, P.O. Box 109, Cheyenne, WY 82003-0109.